No Hitter? Nope. ~ The Bucky Channel - The World of Sports from Wisconsin's Perspective. Home » C.C. 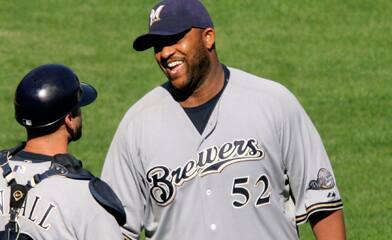 Sabathia , Milwaukee Brewers , MLB , Pittsburgh Pirates » No Hitter? Nope. It's a shame, as I feel 100% the play in question should have been ruled an error. Still, it would have been tough for Major League Baseball to reverse the decision after the fact, and I don't blame them for wanting to save face. The right thing though, would have been to give Sabathia the no-hitter he deserves.